I've been feeling grey a lot lately. It's definitely the color of the season for me. 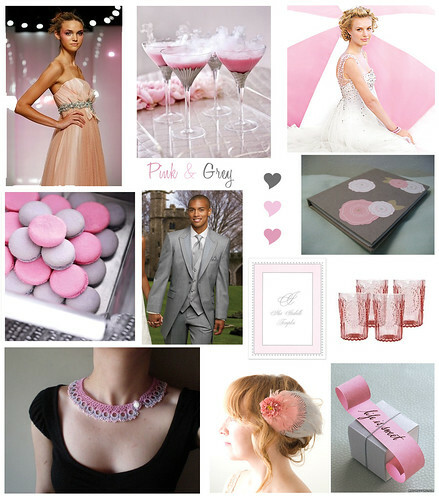 A lovely look for winter or spring is grey paired off with light, rosy pinks. I think this color combination would be just perfect for a birthday celebration. - What fellow doesn't look dashing in a tux of grey?